In celebration of Women’s History Month, this week’s Snapshot highlights Amelia Earhart’s Lockheed Vega 5B—the very plane she flew when she became the first woman to fly nonstop and solo across the Atlantic Ocean. On May 20 – 21, 1932, she flew this red Lockheed Vega 5B from Harbor Grace, Newfoundland, Canada, and landed about 15 hours later near Londonderry, Northern Ireland. The flight made Earhart an instant worldwide sensation and proved she was a courageous and able pilot. On May 20 – 21, 1932, Amelia Earhart became the first woman—and the second person after Charles Lindbergh—to fly nonstop and solo across the Atlantic Ocean. Flying this red Lockheed Vega 5B, she left Harbor Grace, Newfoundland, Canada, and landed about 15 hours later near Londonderry, Northern Ireland. The flight made Earhart an instant worldwide sensation and proved she was a courageous and able pilot. Later that summer, Earhart flew the Vega setting another record. On August 24 – 25, 1932, she made the first solo, nonstop flight by a woman across the U.S., from Los Angeles to Newark, N.J. The flight covered a distance of 2,447 miles and lasted about 19 hours. In June 1933, Earhart sold this Vega to Philadelphia’s Franklin Institute where it remained until transferred to the Smithsonian in 1966. In 1976, the sleek Vega was installed in the new National Air and Space Museum to recognize Earhart’s flights. 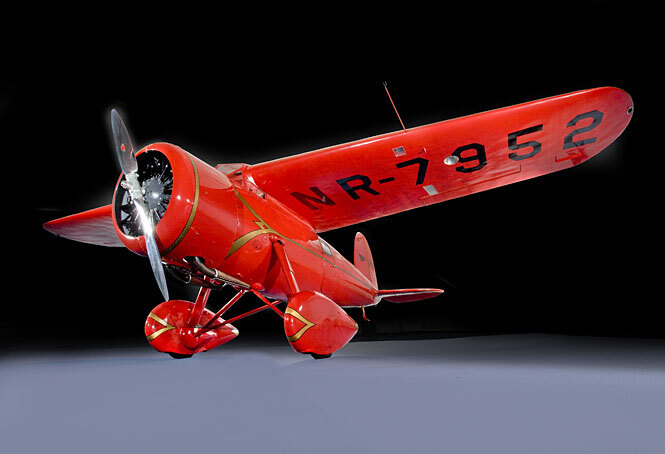 The innovative combination of an internally braced wing and strong shell fuselage made the design a popular record-setting, private and commercial aircraft. Earhart’s Lockheed Vegas is just one of 137 million artifacts, works of art and specimens in the Smithsonian’s collection. The plane is on display in the Barron Hilton Pioneers of Flight gallery at the National Air and Space Museum. For more Women’s History Month events and resources, visit the Smithsonian’s Education website.